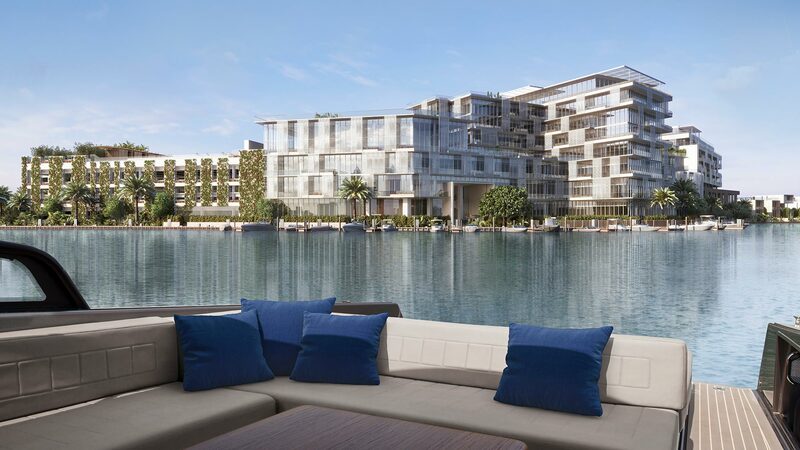 MIAMI, FL — Ophir Sternberg, CEO and Founding Partner of Lionheart Capital, the developer of The Ritz-Carlton Residences, Miami Beach, has taken a progressive approach towards marketing the property in order to engage the consumer directly and make the entire sales experience more personal. To captivate audiences of qualified buyers, Sternberg and his team tactfully tailored a plan to drive traffic to the sales gallery by hosting large scale activations and intimate events centered around local cultural happenings, many of which draw an international crowd such as Art Basel, Miami Yacht & Boat Show and the South Beach Wine & Food Festival. By allocating more force towards events and less in heavy advertising, The Residences has prospered. The project’s on-site sales gallery hosted more than 65 events in 2014 and already in 2015 has put on a dozen events, ranging from breakfasts to happy hours on the private day-yacht to book signings to fashion shows to art exhibits to seated dining experiences to full-on theatrical productions. The dynamic atmosphere these events create allow for a soft sales environment that ultimately engages the audience and creates opportunity for media coverage. Most notable of these are the activations with lifestyle guru Martha Stewart, Miami Heat’s Dwyane Wade, Top Chef’s Fabio Viviani, and South Beach Wine & Food Festival founder and culinary author Lee Brian Schrager. In addition, events have allowed Lionheart Capital to give back to the community. Organizations such as the American Nicaragua Foundation, Dress for Success Miami, Glasswing International and United Way of Miami-Dade have benefitted from these philanthropic efforts. Sternberg staffs an in-house Director of Events and Strategic Initiatives who conceptualizes the activations and manages the partnerships. Activations have included partnerships with luxury brands such as Ferretti Yachts, VanDutch Yachts, Hublot, Steinway & Sons, John Varvatos, MaxMara, Glenlivet, MoetChandon and top designer boutique, The Webster. Last October, his team engineered a 3-day pop-up showroom in New York City that included activations in partnership with publications DuJour, The Real Deal and Quest magazine. The first night’s event even garnered an appearance by actress Fran Drescher who is interested in purchasing a home in Miami to keep a residence near her parents. Sternberg’s team brought the Miami Beach experience to Manhattan, dressing the Soho showroom of Boffi with palm trees and rum-filled coconuts to immerse the guests in the project’s tropical environment. Having a global vision for sales, Sternberg and his team have replicated the popup concept that was first tested in New York, taking it internationally. In January, The Residences popped-up in the UK to introduce the project to the luxury brokerage community in London. Being one of the coldest months of the year, The Ritz-Carlton Residences, Miami Beach aimed to showcase the warm, tropical-modern design to draw those from the bitter cold in Britain. Collaborating with Boffi again, manufacturers of the project’s kitchens and baths, a mini showroom was created, that again included palm trees, to immerse brokers and international investors in the aesthetics of the property. Continuing along in Europe, the next stop for the pop-up is Italy where during the renowned furniture fair, Salone del Mobile in Milan, The Residences’ Italian architect and designer Piero Lissoni will personally host an event to showcase the project at the Lissoni Associati showroom. The design-focused event promises to be interactive, engaging those attendees with an appreciation for design in an immersive architectural experience that will include a scale model and 3D renderings. The Residences also plans to pop-up in Asia to capitalize on Chinese investors in Beijing and Shanghai. The Ritz-Carlton company already has a very strong presence in China, breeding brand loyalists. Most recently, Japanese realtors have also expressed an interest for their overseas clients as the first ever Real Estate Investor Conference focusing on international beachfront realty will take place in Tokyo this May. Around the world, smaller sales events have taken place in Canada, Mexico and Argentina. By targeting key markets to showcase the project and through experiential events, The Residences have been able to capture the buyers, garner awareness and create exposure for the project which is currently 50 percent sold out. The Residences are slated for completion in Winter 2016.